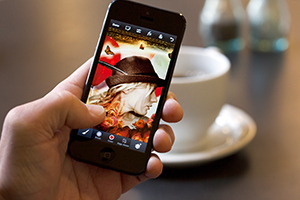 Adobe Photoshop Touch is now available in a version specifically built for phones. The app which previously available only for tablets, now works on Android and iPhone and available on the Google Play and iTunes App Store for $4.99 (USD). Adobe Photoshop Touch for Android and iPhone has core Photoshop features like layers, advanced selection tools, adjustments and filters. This app features the same creative filters as the tablet version, like Color Drops and Acrylic Paint, and also a new Ripple filter.